Attach the ankle attachment to one ankle. Balance the body by grasping a fixed object with the opposite hand and place the hand that is on the same side as the attachment on the hip. Raise the leg laterally (to the side) as high as is comfortable, while exhaling throughout the movement. Lower the leg back to the starting position, while inhaling throughout the movement. 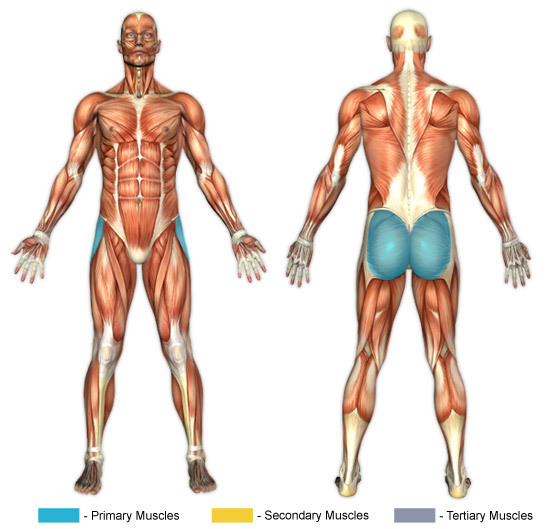 The focus of this exercise is on the gluteus medius and the gluteus minimus that lies beneath. If the goal is to strengthen and shape the hip (upper and outer buttocks), then cable hip abductions are a great choice.